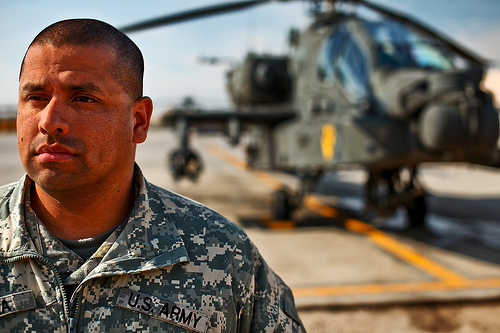 Soldiers do so much to take care of us — we need to make sure we’re taking care of them, too. This observation is made by a nurse named Beverly Malone, in this article in the Chicago Tribune. It is about the need to ensure that nursing students know more about how to provide the best medical care to a new generation of military veterans. Several different organizations, including the U.S. Department of Veteran affairs and the American Association of Colleges of Nursing, are calling on nursing schools to take a pledge to do more to education students on how to best handle veterans and their families. This initiative is part of Joining Forces, a campaign focused on supporting veterans, which has been promoted by Michelle Obama and Jill Biden. Hundreds of nursing schools have already signed on. The pledge encourages enhanced training for issues commonly seen in veterans, including post-traumatic stress disorder and traumatic brain injuries. With more and more veterans returning from foreign wars, the need for veteran-specific care is likely to grow. Often veterans don’t seek out mental health resources or other help they might need, which is why it’s important those in health care know what to look for, said Patrick McGrath, director of the Center for Anxiety and Obsessive Compulsive Disorders at Alexian Brothers Medical Center in Elk Grove Village. McGrath also works at the hospital’s Vet Center, which is touted to be the nation’s only veteran-focused hospital center, outside of Veterans Affairs hospitals. Some nursing schools have already recognized a greater need for veteran training and expanded their efforts. Margaret Kraft, assistant professor at Loyola University Chicago’s school of nursing, said the opportunities for students to work with patients at Hines VA Hospital in Maywood have grown substantially in the past three years. Because of the VA’s proximity to Loyola University Medical Center, the nursing school has a strong relationship with the VA, Kraft said, and some members of the VA’s advanced practice nursing staff also teach at the nursing school. Loyola also plans to expand its nursing student training at the VA’s simulation laboratory, where mannequins stand in for real patients. Schools are using the pledge as an opportunity to step up efforts in the community. Graduate and undergraduate nursing students at Rush University’s College of Nursing will issue health screenings at this summer’s Valor Games Midwest, a sports competition for disabled veterans at Soldier Field. Gerry Gorman, assistant professor at University of Illinois at Chicago’s College of Nursing, also pointed out the importance of meeting the needs of nursing students who are veterans themselves. Often, veterans entering school upon their return from service choose nursing as a career, Gorman said. “I think it appeals to that sense of service they already have,” she said. Gorman is developing tools to assist nursing students who are veterans. A new effort starting this fall is an elective workshop that uses art therapy to relieve stress, she said. Malone said efforts sparked by the Joining Forces pledge will not only benefit the veterans but promote compassion.